Our passion for excellence and compassion for people means we are dedicated to making sure our patients receive nothing less than the best. If your experience with Aspirus was not what you had hoped, tell us about it using the form below. The medical staff and the employees of Aspirus seek to treat our patients with fairness and concern, recognizing their needs and satisfying them to the extent possible. To ensure we are meeting all your needs, we have designated a patient representatives at all Aspirus entities. Additional resources may include a financial counselor, privacy officer, and/or a medical ethics committee. A patient representative is available Monday through Friday from 8 a.m. - 4:30 p.m.
Aspirus At Home : Contact your local Aspirus At Home office and ask for the team leader. Aspirus Clinics: Contact your doctor’s office and ask for the clinic manager. 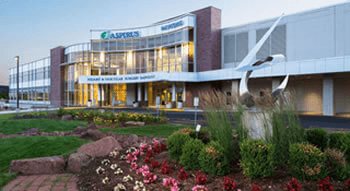 Aspirus Wausau Hospital: 715-847-2275 | After 4:30 p.m. and on weekends you may call 715-847-2121 and ask to have the House Supervisor paged. At jointcommission.org, using the "Report a Patient Safety Event" link in the "Action Center" on the home page of the website. When filling out the form below, please be as specific as possible. We will share your comments with the appropriate patient representative or manager for follow up.